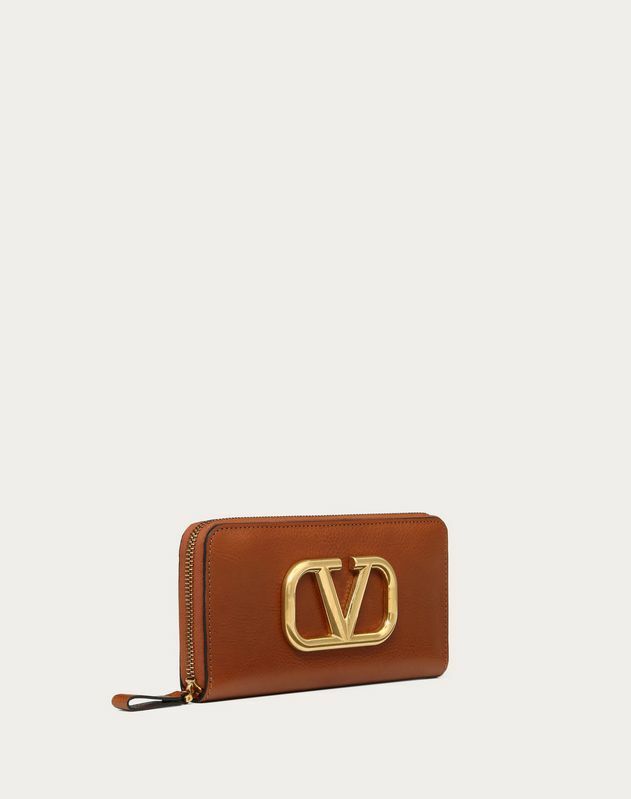 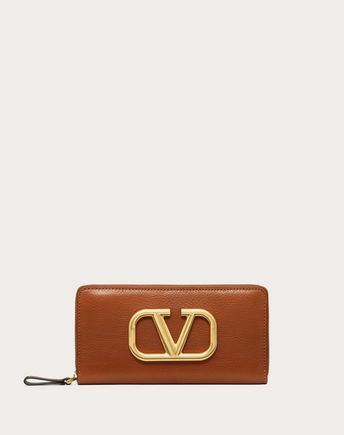 Valentino Garavani Go Logo zippered cowhide wallet. 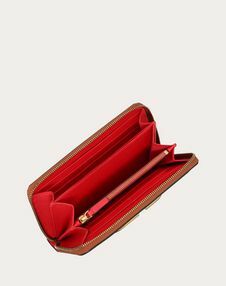 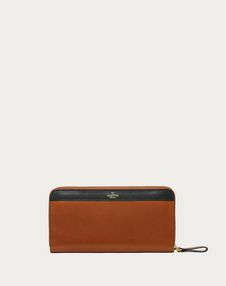 - Three fold-out compartments divided by a zippered coin pocket and a flat pocket. Twelve card slots and two flat pockets.